The process of franchising is governed by the complex relationship between a franchisor and a franchisee. If there is some problem and the relationship gets strained then both the parties have to endure failure, more so the franchisee bears the major loss. To help solve disputes between the franchisor and the franchisee there are few laws present. However, there are no laws that have been enacted exclusively for the purpose of carrying out the franchise business in India, even though many countries across the globe have incorporated such laws. USA, Canada, France, and Australia are some countries that have specific legislations or code of conduct for regulating franchising in their respective countries. Below mentioned are few ways to enter into a contract into franchising in India. By Agreement and Contract: In the agreement the parties may agree to terms of the agreement through mutual negotiations. When one party makes an offer and the other party accepts it, then the agreement is said to be done, which may be enforceable by law. By Standard Form Contract: It is a contract that does not allow negotiations between the parties. As a general rule, Standard Form Contracts are as much valid as those entered through due negotiations. The appropriate franchise related laws should be adequately abided by at every stage beginning from entering into a franchise agreement to the setting up of the franchise business and for carrying out day-to-day operations. Due to increase in the complexities and volume of business, it is advisable for the franchisor as well as the franchisee to enter into a legal contract. Mostly a standard form of contract can be used, as the franchisor has to get into contracts with a number of franchisees. The contracts with standard terms may be drafted for one franchisee and can be carried out with all the other franchisees also. 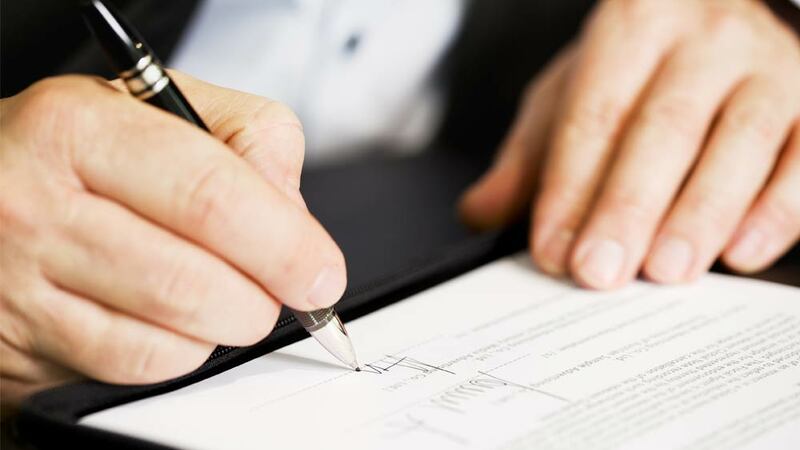 The draft of the agreement is prepared by the franchisor but it is better that the franchisees also take the assistance of a franchise expert before signing the deal. In some cases, when the terms of the contract are prepared beforehand by the franchisor then the franchisees do not have much say in the matter. They therefore enter into the contract with those pre-drafted terms. It is always advised that the contract should be made with the free consent of both the franchisor and the franchisee. This leads to better understanding of the terms of the contract, and there is no attempt on the part of either of the two to take undue advantage. Contractual document is a must. It should be checked that the document is not just a receipt but a legal document. Misrepresentations should be checked. Oral misinterpretation could be conducted between the franchisor and franchisee. These should be cleared before signing any document. Terms should be reasonable. If the terms of the agreement are unreasonable it may lead to problems between the parties from the beginning. Strict interpretation of the terms. Franchisees can issue a legal notice if the franchisor is not following the terms and conditions of the agreement. There can be a lot of situations when the franchisor and the franchisee have to consult the contract. Therefore it is advisable to take the assistance from reputed law firms with some franchise experience. Both the parties can be successful and satisfied if the formation of contracts and agreements is satisfactory. Advait Tea & Agro Product Pvt. Ltd - DISTRIBUTORSHIP Opportunity Format.. Managing Restaurant Staff: Why It's Important..
Denim Brands Flying High on Franchising..
What is the Need for Franchise Consultants?.. It’s all about Engaging with the Consumers.. Franchising Ethics In Pre-School Business..
“We See Social Media as the Best Platform”.. Different Aspects of Franchise Business..
Low Investment Business Ideas for Big Profits.. Profitable Wellness Franchise Biz in Chandigarh..